Some of the most SLACK-IMPARTING SubGenius activity occurs nonstop on the Usenet newsgroups alt.slack (all text), alt.binaries.slack (pics, audio, animation), and alt.binaries.multimedia.slack (huge videos files, DVDs, etc.). Many Internet users, knowing only email and websites, shun the unfettered world of Usenet groups -- mainly because they look disorganized on browsers like Explorer. The links above will get you to those groups by browser, but that is NOT the best way. Downloading things like movies (which are broken into multiple smaller-sized encoded chunks called "RARs" for more reliable tranport) often requires a special "newsreader" program. At download.com it's easy to find one of the fine free newsreader programs for Windows such as Forte Agent, or for Mac such as Thoth. Some folks say they "can't get" alt.binaries.slack, but if you ask your ISP's support dept., it can easily be added. Or do like we Old Timers, and use a cheap newsgroup specialty service like Giganews or EasyNews. Those carry... everything. EVERYTHING. 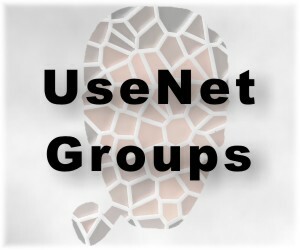 We're not trying to sell you on any specific services, but we do strongly believe that while the World Wide Web is swiftly being licensed and controlled, the world of Usenet newsgroups is still a fairly unregulated free-for-all, slippery and Slack-laden. Alt.slack has been particularly exciting lately, as a record number of non-SubGenius kooks have been desperately trying to convert or at least deprogram us. They are frequently funnier than we are, but without meaning to be.